001. Home tomorrow! Just finished packing my case and now Im off for final drinks and dinner. Which apparently on a Sunday here is a traditional Sunday Roast! I don't even remember the last time I had a roast dinner! Then it's Karaoke, I'm going to have to hold my mother back about performing in that one! My next Galaxy Essential Upgrade post should be up tomorrow which is a really cool one and I enjoyed picking the things to feature in it! 002. If you haven't seen this week's video yet go ahead and watch it here. I don't know if I should post them on here as a separate post incase people miss them. To be frank, There is one thing being a blogger and another being a vlogger! I think video blogging is a bit more personable and I think it's easier to show "who you really are" compared to typed words! But you're also opening yourself up to wider criticism too! My next video is my everyday hair routine which I hope people are interested in as I'm forever getting comments off you guys about my hair! I do please leave them in the comments as I'd really like to know what people like to see! Bare in mind I think I'll more than likely be doing beauty/lifestyle stuff than fashion! Also, I wish blogger comments are as easy to reply to as Youtube ones! If you have any suggestions for tags or videos leave them on the video! 003. I don't really like to brag too much about blogging achievements, although I always do a secret happy dance when I hit a follower goal! But I'm finally in the top 100 blogs worldwide on Bloglovin, actually Im number 95! Number 7 in the UK, currently battling with WWW and Susie Bubble! I check this everyday and I don't know why it means so much to me! But it really does, something about it being worldwide that makes it seem like totally crazy! I follow all my favourite blogs on Bloglovin nowadays as it's so easy and you can categorise them! wish you a safe flight back home! and I gonna watch you vid now :D you amazing! This is such a cute pic Lily! Congratulations! You have done so amazingly well but im not surprised at the same time! What. ETC is a year old?! You are kidding me right? Can't believe so much time has flown by! Wow! You really deserve the nominations! Sometimes its hard to see things yourself, but you clearly work extremely hard on your blog, and that is very admirable, lots of people half do things, but you don't! you look gorgeous as always, hope you had a lovely trip! Hi Lily! To be honest I was shocked you weren't nominated because I was all ready to vote for you! I didn't realise 'followers' had to nominate you, so maybe that is why you weren't up there? don'tknow. I still LOVE your blog, you are one of my daily reads, so I don't know if you necessarily need to 'tweak' it for your readers. Also, I don't think people put too much stock into blog awards so I wouldn't worry too much about it! All that being said, it is always nice to see a bit of different content if that is the direction you want to move in. Sorry this is a bit rambly! Congratulations on the nomination and everything you have achieved! 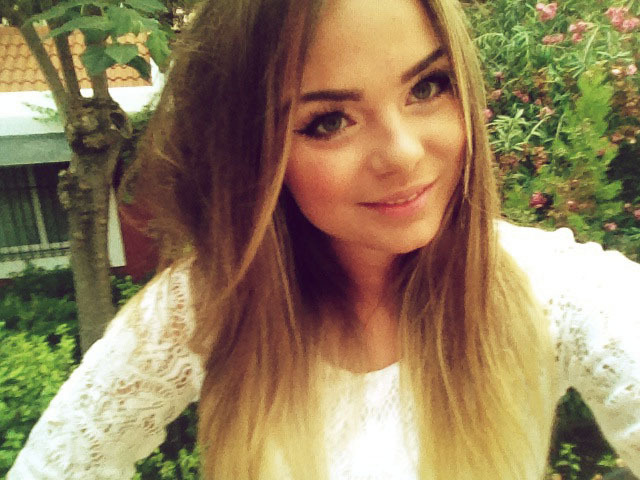 I have read your blog religiously ever since googling 'how to ombre hair' and love it! Congratulations on the nominations and for making the top 100, that's an amazing achievement! Congrats Lily! Keep up your good work! This is a lovely pic and so nice and natural. You must have a killer tan now! Safe trip home. Its funny how I've been following you for ages and I couldn't have related to you more with this blog post! Today I gained two new followers! I set goals for myself every time as well and I totally have a lot of blog insecurities as well.! I absolutely ADORE your blog and I'm really excited to see your vlogs as well and I totally think you should post videos here too even though I've already subbed your channel. You inspire me to make my blog better and better each day! congratulations, girlfriend! i have been following your blog for a long time now. so glad to see things pay off. you are so darn fabulous, it only make sense.